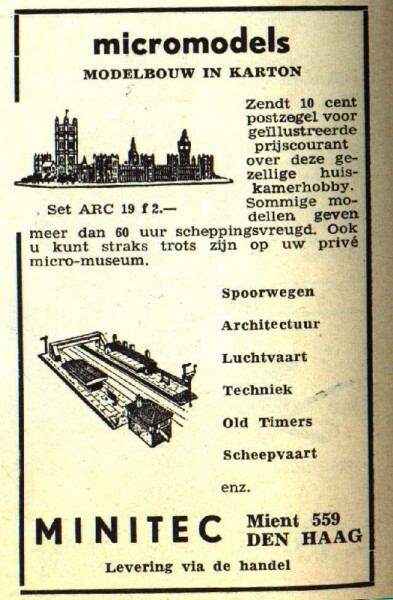 Dutch Advertisements from Minitec. 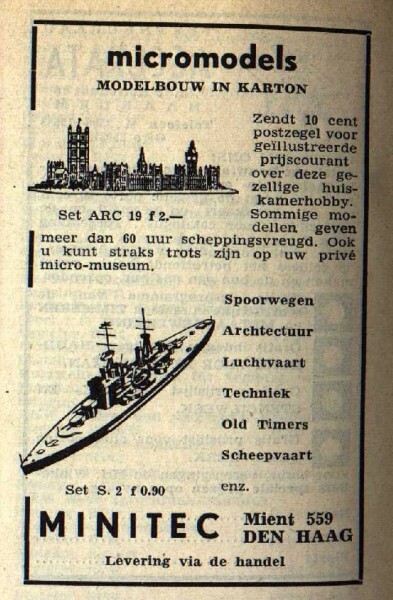 The first four are from the magazine “Handig Bekeken“. 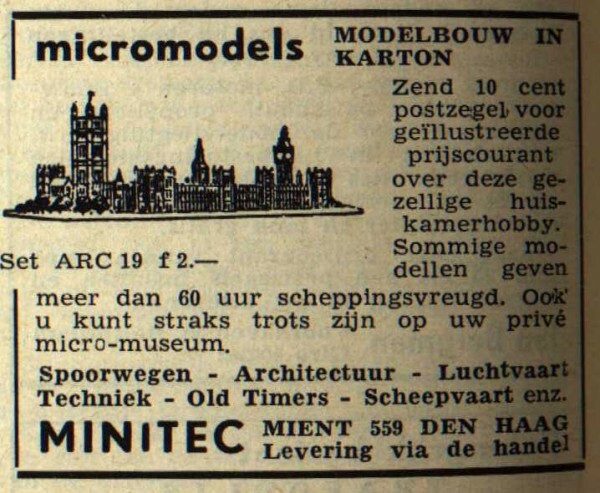 Minitec resided in The Hague, and was the importer of Micromodels in the Netherlands. 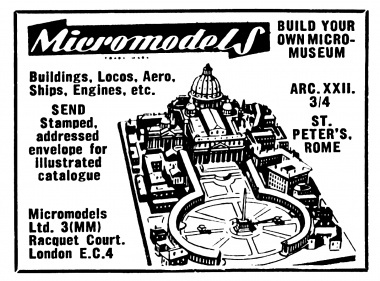 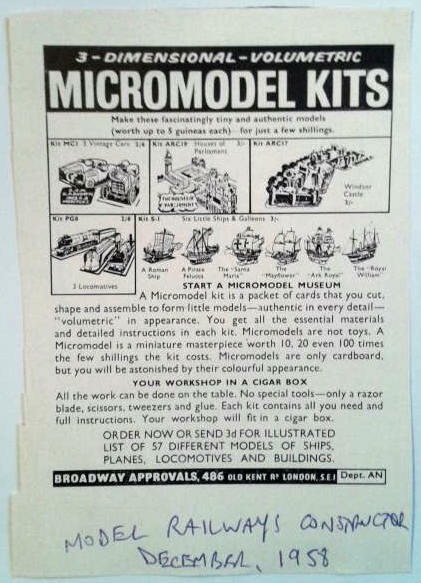 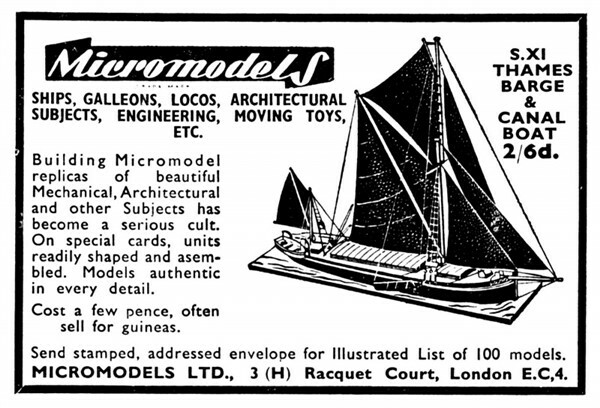 The advertisement Micromodel Kits is from Broadway Approvals, who bought the company Micromodels Ltd. in 1956. 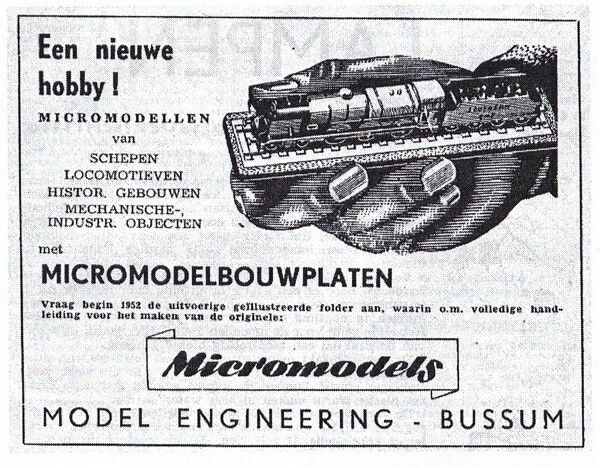 It was published in the magazine Model Railway Constructor in december 1958. 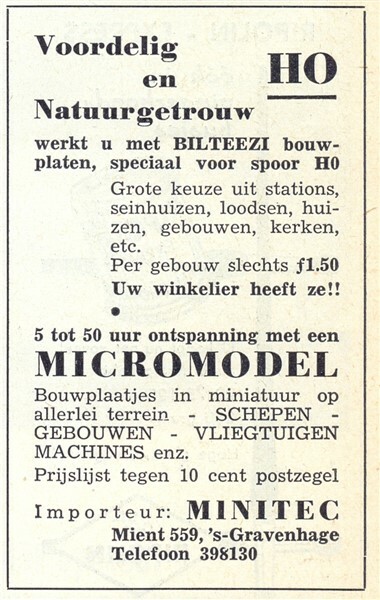 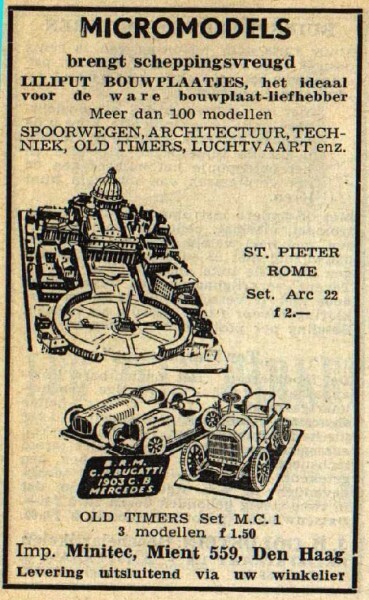 The advertisement has the same name as their catalogue from 1958.